NAUGATUCK, CT: Gloria E. Garcia, age 89 of Naugatuck entered peaceful rest on November 3, 2018 at her home. Gloria was born June 8, 1929 in Ponce', Puerto Rico, daughter of the late Richard and Guanalupe (Cruz) Soto. She was a retired Machinist from the Bayer Corp., West Haven. Gloria loved dancing, bowling, and she was an active member of Christ’s Church in Ansonia. 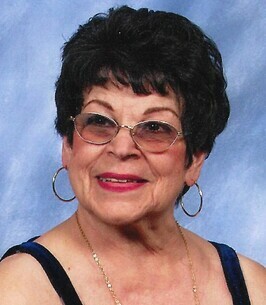 Gloria leaves her loving family including her children, James Mayoral and his wife Ellen, California; Ralph Gonzalez Soto and his wife Donna, California; and Madeleine Gleason of Naugatuck, Connecticut, 15 grandchildren, and 15 great grandchildren. She was predeceased by her sons, John Mayoral and Eric R. Garcia. All services are private. There are no calling hours. The Ralph E. Hull Funeral Home, 161 West Church Street, Seymour is entrusted with the arrangements. To send flowers to the family of Gloria E. Garcia (Soto), please visit our Heartfelt Sympathies Store.